Our skin is an amazing organ. It is the largest organ of the body and protects all other organs. 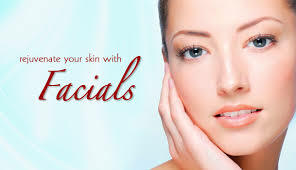 Facials help in keeping skin at its optimum health by exfoliating dead skin cells and nourishing the skin with topical products that are necessary in today's environment. Everyday we are subjected to pollutants, toxins, damaging sun rays, and other external factors that contribute to the aging process. Do your skin a favor and treat it to one of the many actively aggressive facials explained below. You will enjoy the relaxation and your skin will love you for it. 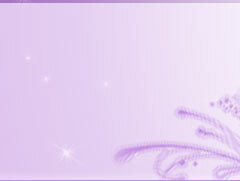 All services performed at The Vanity Box use Rhonda Allison Naturally Scientific skin care products. 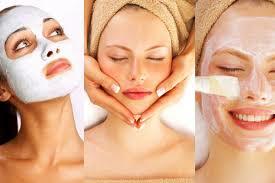 These facials are designed to target specific skin issues. Whether fighting dryness, sensitivities, aging, acne, hyperpigmentation, or any other issue, there are treatments and home care products designed to bring your skin to its' optimal health. Perfect for sensitive, dry, dehydrated skin incorporating citrus, papaya, pineapple, wild yam and almond based exfoliants to cleanse, exfoliate & nourish. 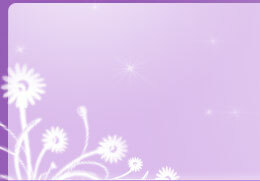 Provides vitamins C, E, K, & B complex to heal and soothe. Honey Paprika and Milk Masks combined calms & cools. Green tea, papaya, herbs, enzymes, clay, rosemary basil & growth factors smooth, soften, clarify & restore skin. Reduces oil, blemishes, rough texture, sensitivities, dehydration & dull complexion. With just the right balance of healing support and preventative benefits for skin restoration, this facial attacks blemishes and attacks excess sebum while increasing the skin's immune system & providing therapeutic relief to inflamed, sensitive skin. Lighten & brighten skin while infusing it with potent age-reducing antioxidants. Provides the rejuvenating benefits of collagen boosting peptides & marine collagen while giving skin a dose of vitamin C & essential protein. Lycopenes & super brightening agents lift away the years of dry acne, hyperpigmented, photo-aged skin. Age-reducing benefits of increased collagen activity & antioxidant support improve skin texture & fine lines diminish. Extremely beneficial for photo-aged & hyperpigmented skins & is especially suited to acne prone & oily, impure skins. Loaded with vitamins A, C, & E this treatment infuses the skin with potent antioxidant power from tomatos' lycopene & carotenoids, protecting skin from free radicals. Options for each common skin challenge faced during pregnancy - acne, melasma & rosacea. A safe, relaxing indulgence that will replenish the skin to reveal a youthful, glowing complexion. This treatment offers the skin a potent blend of peptides, amino acids, vitamins & herbs - boosting collagen support & encouraging skin elasticity. This treatment energizes, stimulates & enhances the skin, restoring optimum state of health & activating the skin's own healing mechanisms for prolonged vitality. Hot & cold sensations. Infusion of nutrients & antioxidants. Targeting dehydration, depletion from environmental elements, free radical damage, & dull, slackened skin tissue this infusion of enzymes & masks delivers a potent does of antioxidants & age reducing peptides, giving skin a glowing, radiant finish. Providing a powerful "double infusion" of H202 to stimulate & increase blood flow, this facial provides much needed oxygen to depleted, dry skin, reducing pigmentation, detoxifying tissue, & brightening skin tone. A second generation AHA, the flower acids obtained from hibiscus chalices are more moisturizing than lactic acid. 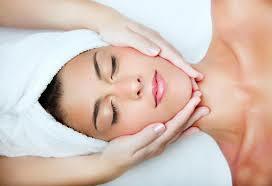 This facial will stimulate collagen activity, balance excess oil, & provide antioxidant support. With enticing aromas of cherry, chocolate & mint, with hot & cold sensations, this luxury treatment will give your skin glowing results. Three step "fruitzyme" exfoliators will smooth & polish the skin. Digesting & lifting away dead skin cells, cherry & pomegranate nurture the skin tissue to build & strengthen. This treatment deeply cleanses, smooths, softens, & nourishes moisture depleted, dull tired skin. A strong dose of vitamins C & E, grape extracts, essential fatty acids, & yam extracts provide the perfect balance of nutrition for the skin. Oregano, basil, thyme, & rosemary, blended together with potent age-reducing extracts of mandelic & arginine, indulge skin in a truly delightful gourmet experience. These antiseptic & antibacterial herbs promote healing. Great for rosacea & dehydrated skin. Skin will be renewed with a powerful infusion of antioxidants, resveratrol, AHA's retinol, anti-inflammatories, vitamins, epidermal growth factors, healing herbs & minerals. This facial uses digestive enzymes to support normal to problematic skin while the soothing relief of Rosemary Basil Mask creates a healing calming effect for more vibrant skin. Double the exfoliation will refresh dull, tired skin. Infuses skin with much needed hydration & nutrients while providing mitochondria support. Supports skin with mild acne, sluggish circulation, & sensitive, rosacea-prone conditions. Chocolate antioxidant support, healing effects of Mandelic Arginine & the collagen-boosting benefits of Amino Peptides help with cellular repair & age prevention. Skin is nourished & cell turnover increased with the gentle exfoliation action of enzymes & yam extracts. Peptides boost cellular activity while protein-enriched milk cools the skin. The antioxidant support is beneficial for photo-damaged & hormonally imbalanced skin. The first place your age shows is the eyes - our Deluxe Eye Treatment softens dry eye tissue, reduces puffiness, plumps fine lines, as it moistens and hydrates. Your eyes never had it so good. 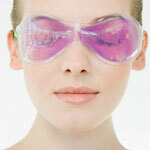 All eyes will love this soothing restful treatment. your back completely cleansed. Just lay back, relax, and unwind. Exfoliates skin cells, provides antioxidant support, stimulates collagen activity while infusing the skin with vital nutrients & vitamins. Skin feels smooth & looks bright. Deep enzymatic action combined with fruit acids support problem skin – clear complexion is the goal. Appropriate extractions followed by a purifying anti-bacterial mask assist skin to be blemish free and healthier. Blended herbs of oregano, basil, thyme, and rosemary combined with H202 & natural safe antibacterial serums create a unique “healing paste” that destroys toxins and purifies skin. This treatment aids in the clearing of blemishes and congestion and deeply cleanses skin. Beneficial for combination, oily, problematic skin types. Lighten & brighten skin tone with a pigment reducing enzyme as skin is treated to a unique blend of lightening nutrients. Pineapple begins the smoothing & softening of skin while increasing circulation. Specialty extracts & therapeutic masks add the soothing & calming benefits for sensitive rosacea-prone skin. Reduces inflammation, provides antibacterial support, stimulates surface cell turnover, & strengthens capillaries. Begins the process for eliminating stubborn hyperpigmentation. Leaves a moist, dewy feel on the skin as our potent pigment-reducing enzyme as mask lighten & brighten skin tone. Immerse your skin in the creamy, soothing essence of milk to plump, hydrate & nourish dry, depleted skin. With essential vitamins, oils, & protein-enriched cream, this calming, luxurious experience will quickly become a favorite of many. This soothing experience is all about relaxation. Each step incorporates relaxing facial massage - it only takes the wonderful products to enhance this facials ability to help you relax. This very luxurious facial has amazing results, providing you with the opportunity to experience these wonderful products before purchasing & using them at home. 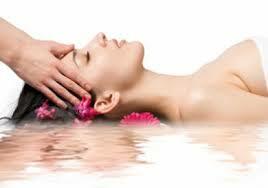 This treatment will soothe, rejuvenate, & nourish the skin with incredible sensations & euphoric aromas. Allure Magazine chose this as the Best Spa Facial. Slow down the signs of aging with a superior blend of active grape seed extracts, resveratrol, vitamins, milk acids, red fruit rich in antioxidant support, & nutrient building ingredients that will improve the overall effects of free radical damage. Rescue your skin from the ravages of winter. Experience the ultimate in skin vitality. Designed to smooth, soften, and hydrate skin using natural extracts from fresh Hawaiian pineapple. Experience the valuable benefits of natural pumpkin extracts – 1 of natures’ most nutritious foods. Colorful berries have been blended in exotic preparations to create this thoroughly soothing experience.